4Kids Ent. has signed agreements with a ton of new global broadcasters for their hit cartoon VIVA PIÑATA, based on the Xbox 360 video game. New episodes of the series are set to broadcast on TV3 (New Zealand), Animax (South Korea), Momo Kids TV (Taiwan) and Kids Central (Singapore) and Televisa (Mexico). Current stations include YTV (Canada), France 3 Television (France), RTL2 (Germany), Canal J Pay Satellite TV (France), Nickelodeon (U.K.), Netherlands, Spain, Australia & New Zealand, NRK (Norway), SIC (Portugal) MediaCorp TV12’s Kid Central (Singapore) and Children’s Channel (Israel), among others. 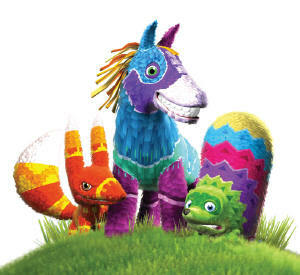 Viva Piñata airs weekly in the United States on 4Kids TV. Captain Planet will star in a new line of T-shirts for the holiday season. A full line of the T-shirts for men, women and children featuring Captain America will launch at high-end specialty boutiques and department stores in October. Created by Ted Turner in 1990, Captain Planet was used as a tool to teach children about potential environmental hazards. It can be seen in syndication weekdays on Boomerang, Turner’s 24-hour cable network devoted to classic cartoons. Also, the network will feature a 12-hour marathon in April in celebration of Earth Day 2008. 10/31/2007 | Television | Comments Off on Captain Planet returns! The folks over at Collider were lucky enough to sit down with various people from Pixar including Brad Bird and John Lasseter who are out promoting the upcoming DVD/Blu-Ray release of Ratatouille. Activision has shipped Bee Movie Game and Shrek: Ogres and Dronkeys to retail locations nationwide. Bee Movie Game is based on the upcoming DreamWorks Animation film from creator Jerry Seinfeld. In Shrek: Ogres and Dronkeys, Shrek and Fiona’s triplets appear alongside Donkey and Dragon’s offspring, the dronkeys. Antonio Banderas has partnered up with Kandor Graphics in a 50/50 joint venture to form an as yet unnamed feature animation company that will produce five movies in the next 10 years. The first film is The Missing Lynx directed by Manuel Sicilia and Raul Garcia and produced by YaYa! Films and Perro Verde. The movie follows a group of animals that tries to escape from a crazy millionaire’s new Noah’s Ark. Check out this promo trailer for DreamWorks Animation’s upcoming film, Kung Fu Panda, starring Jack Black and Jackie Chan. Kung Fu Panda will arrive in theaters on June 6, 2008. Warner Home Video’s Looney Tunes Collection Vol. 5 is now and offers 60 re-mastered, unedited classic cartoons — including some rarely-seen shorts, plus more than five hours of special features including commentaries by filmmakers, writers, animators, historians and alternate audio programs. The Animation Picture Co. (APC) announced that it has acquired the screen rights to the 20-million-selling video game franchise, Spyro the Dragon. 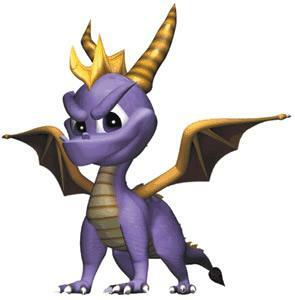 The story will revolve around the three most recent Spyro games and will be written by Steve and Dan Altiere. Producing is APC’s Dan Chuba, John Davis, Mark Dippe, Brian Manis and Ash Shah. A director has not been hired yet. The Pixar Story, a documentary from filmmaker Leslie Iwerks, begins an Oscar-qualifying run on Oct. 23 in 14 major markets across the U.S. The Pixar Story goes behind the scenes of the company with never-before-seen footage from the Pixar library, along with historic archival animation and first hand accounts by animators, studio execs, directors, producers and voice performers to chronicle the company. The Pixar Story includes exclusive interviews with John Lasseter, Ed Catmull, Steve Jobs, George Lucas, Michael Eisner, Bob Iger, Tom Hanks, Billy Crystal, Tim Allen and Brad Bird. A companion book to The Pixar Story titled TO INFINITY AND BEYOND–THE STORY OF PIXAR ANIMATION STUDIOS, by Karen Paik, is scheduled for release by Chronicle Books in Fall 2007. Click the read more link to find out where the movie is being shown. Microsoft today announced that more than 100 new episodes of popular Warner Bros. and Nickelodeon TV shows have been added to the Xbox Live Marketplace. Starting today more than 50 episodes of the classic Looney Tunes library is available in high definition for on-demand download to own. 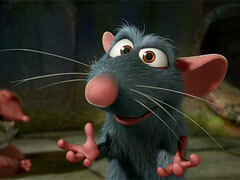 Pixar’s Ratatouille keeps chugging along collection millions more from various foreign countries. According to final data issued Monday, Ratatouille pulled in weekend sales of $30.2 million from 31 countries. Ratatouille has become the 3rd most popular Pixar movie after Finding Nemo and The Incredibles and the 6th most popular non-sequel animated film. John K. has produced a wonderful step-by-step construction lesson video that feature a frame from a Tex Avery short, Heckling Hare, featuring Bugs Bunny. John breaks down every step and simplifies things to the basics of drawing. It is definitely worth a look and it’s very cool to be able to see an animation master at work.